“Paradise Syndrome” refers to a condition of perpetual dissatisfaction, often suffered by those with great wealth who feel that there is nothing further to be achieved. In a materialistic culture, it is an absurd privilege to even imagine such a state: finding that one has too much—the mere suspicion that one, in fact, has it all. Is paradise, then, illusory? Does the existence of the syndrome expose its artificial wooden backbones, like the Hollywood sign, demarcating its topographical entry and exit—disavowing belief in its dreams and wonders? Evoking an apocalyptic Garden of Eden, the Paradise Syndrome is an exhibition that pushes against traditional notions of paradise, while holding out hope that paradise may exist in other guises. The exhibition suggests the post-fall landscape—brimming with money, lust, order, and chaos. The minimalist arrangement of subtle-but-evocative objects in the space allows the viewer, prodded by the sinful themes suggested by the artwork, to subjectively re-assess their conceptions of “paradise” and, finally, find their own. Participating artists include: Silvina Arismendi, Adrian S. Bara, Aldo Chaparro, Juan Fontanive, Ricardo Gonzalez, Alois Kronschlaeger, Alberto Lopez, Norman Mooney, Mario Navarro, Ishmael Randall Weeks, Alfredo de Stefano, Francisco Ugarte and Alexis Zambrano. Ricardo Gonzalez utilizes a limited palette, simplified mark-making, and sense of humor to explore the language of abstract painting. 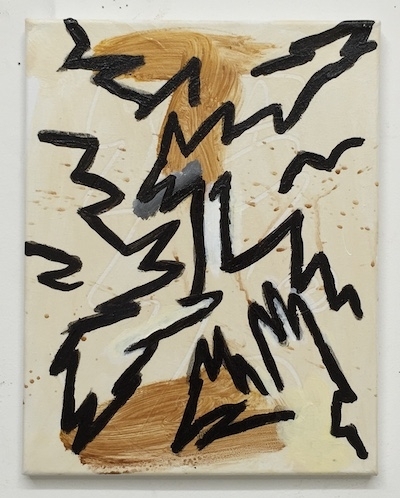 Mutinous figures with grimaces and smirks frequent Gonzalez's canvases, resulting from residual memories of childhood comics such as MAD, skateboard graphics, and teenage doodles, as well as 70's and 80's German painters. The paintings are a rediscovery of the artist's first interests in art, and celebrate the artist's hand, letting the process be transparent as well as allowing errors and chance. Their large scale makes the paintings objects of art and transforms these doodle-like images into purse shapes, paint, material, and process. Ricardo Gonzalez received an MFA from New York University and his BFA at New England School of Art & Design in Boston, MA and Madrid, Spain. He has exhibited in numerous venues in New York, Boston, Miami, Berlin, Mexico and Belgium. 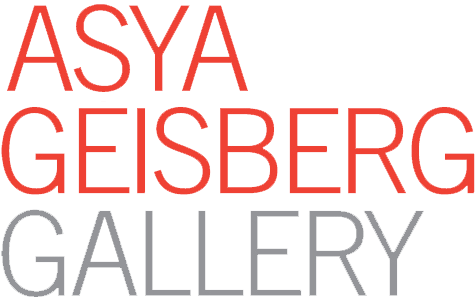 Recent exhibitions include Asya Geisberg Gallery, New York, UNTITLEDx Miami with Asya Geisberg, Galeria Talcual, Mexico City, Traneudstillingen, Copengahen, Denmark, and Galeria W, Santiago, Chile. He is a recipient of the Martin Wong Scholarship Award in Painting. Gonzalez currently lives and works in New York.